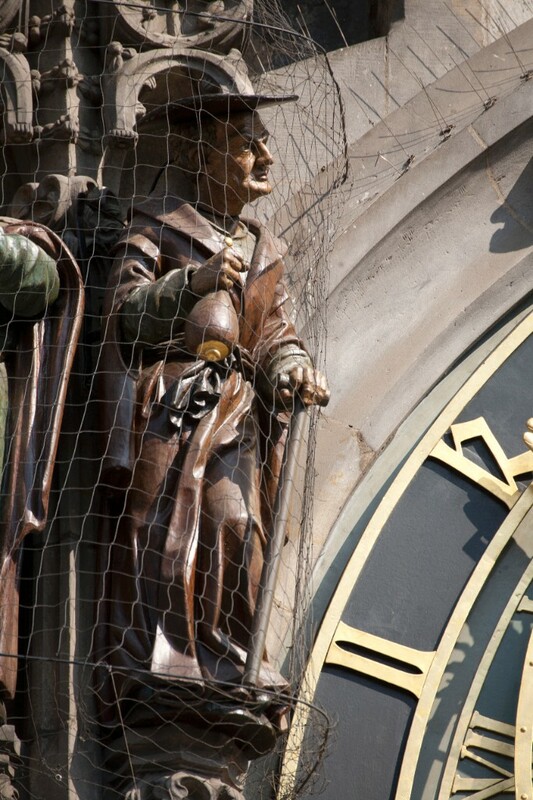 At the astronomical clock you can admire not just only the Parade of Apostles, but there are other figures too. Let´s look who they are and what they symbolise. The rooster figurine symbolizes life. The crows always ends the show of the apostles so it could be shown in an hour once again. The gilded rooster figurine is not movable. 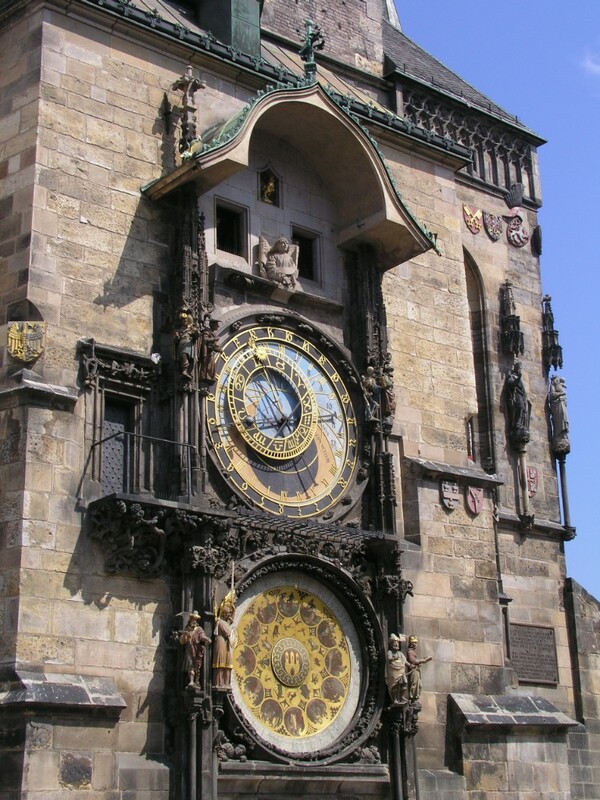 The astronomical clock was added only in the years 1880/1882, together with the rooster crowing sound. The sound is produced by pressing the bellows when closing windows. 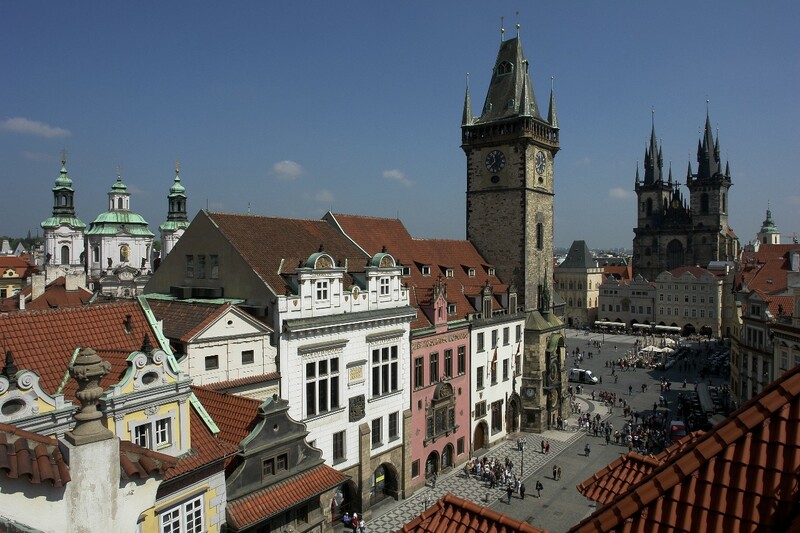 Stone bust of an angel was created as one of the oldest sculptures on the astronomical clock. It was originally a Gothic polychrome sculpture with an inscription on the tape, which is no longer evident. The original was damaged in May 1945 and it had to be replaced with a copy. The vain man figurine features a mirror. A wooden polychrome statue nods his head in disapproval while looks in the mirror. It is usually regarded as a symbol of human vanity. The statue was newly created after the World War II , because this part of the moving figural decoration of the clock was completely destroyed during the fire. Miser figurine features a rod and a pouch. In addition to the transverse movement of the head it also threatenes the rod and shakes its purse. It is a symbol of vice and avarice. The statue was newly created after the World War II, as it was in the days of May 1945 completely destroyed. 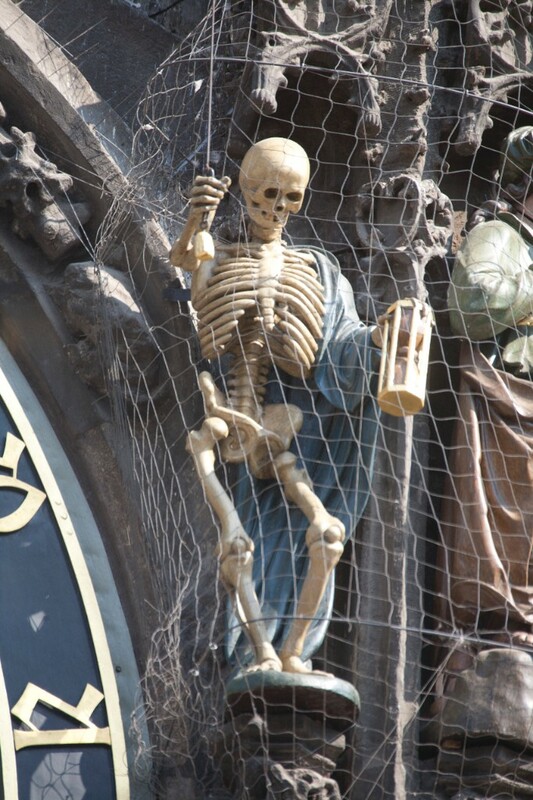 The skeleton or a grim reaper features an hourglass, which rotates as a symbol of measuring lifetime. Ringing the bell and a consistent swinging reminds all of the inevitable fate. 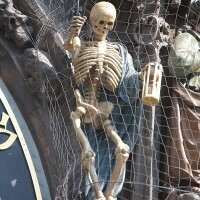 The figure of the death has been the oldest part of the figural decoration of the clock since the late 15th century. The Turk figure is depicted with a lute. A polychrome woodcut is often considered as a symbol of extravagance and pleasure in the sense of human depravity. However, there are also other explanations. The statue of Archangel Michael showed with his spear at first a valid entry for the calendar plate, from Mánes´ rotation of the calendras indicator shows at the top of the dial. 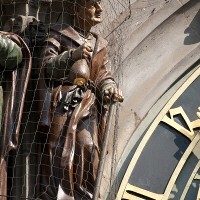 The statue should be on the astronomical clock since the introduction of calendar plates. Probably the oldest dated report indicating the author is from 1787. 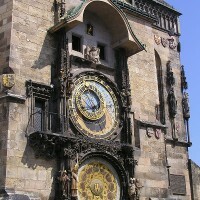 A wooden, polychrome figure with the book is on the astronomical clock in this form only since the modifications realized after the World War II. The author is Vojtěch Sucharda. Wooden, polychrome figure with binoculars, originally represented one of Prague burghers. Only after the World War II Vojtěch Sucharda added the figure the mentioned binoculars. or copyist is wooden, polychrome figure with a quill and parchment. 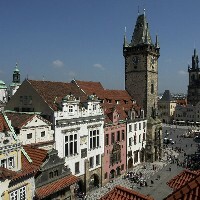 It gained its present form by Vojtěch Sucharda after World War II.